The CLEI Center for Keratoconus is a unique subspecialty institution, dedicated to treating patients with keratoconus. 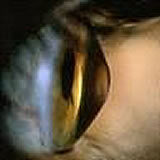 It was formally inaugurated in 2002 by The Cornea and Laser Eye Institute - Hersh Vision Group. The goal of the Center is to provide the keratoconus patient with expert and state-of-the-art diagnostic, therapeutic, and surgical services covering all aspects of keratoconic care. Directed by Peter S. Hersh, M.D., a graduate of Princeton University, Johns Hopkins Medical School, and Harvard Medical School's ophthalmology residency and corneal surgery fellowship programs, the CLEI Center for Keratoconus offers patients access to many years of experience and the most advanced techniques, technologies, and research. In fact, the CLEI Center for Keratoconus is one of the few practices in the U.S. to dedicate itself to the complete care of the keratoconus patient. At the CLEI Center for Keratoconus, we are proud of our professional staff who are experts in all aspec ts of corneal disease, specialty contact lens fittings, and the full range of corneal and refractive surgery procedures for the treatment of keratoconus. Our patients can trust that their examination will fully assess their problem and that the best plan devised from the full range of treatment options will be made available. The CLEI Center for Keratoconus is also at the forefront of research and innovation in keratoconus treatment. We participate in a number of research studies and clinical trials designed to afford the KC patient the most up-to-date and advanced care available. Dr. Hersh has published numerous articles describing the studies that have been undertaken at CLEI. In addition, we take the time to explain how some of these new innovations may apply to your care. In addition to our clinical keratoconus care and research efforts, we also enjoy a productive and ongoing relationship with national keratoconus research and philanthropic groups and run frequent educational programs for patients and their familiese. We host our annual KC seminar in December, so please be on the look-out for updates on this informative event! At the CLEI Center for Keratoconus, you will find a staff of highly skilled doctors, as well as world renown corneal surgeons, highly trained ophthalmic technicians, and a resident staff. 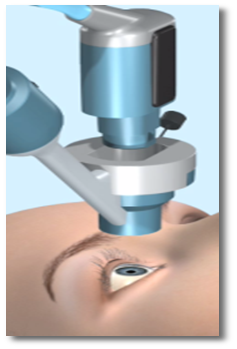 Our equipment comprises all contemporary technologies for corneal evaluation including a number of computerized corneal topographers (corneal mapping devices) as well as the newest state-of-the-art keratoconus diagnostic and assessment devices (such as the Oculus Pentacam corneal mapping unit and the Ocular Response Analyzer (ORA), a device which measures aspects of corneal biomechanics). We also have a complete and comprehensive array of keratoconic contact lenses, offering all of the newest state-of-the-art developments including the latest scleral contact lens innovations. While in past years it was common practice for patients with keratoconus to undergo corneal transplantation, this is no longer the case. We have found that a majority of KC sufferers can have their vision markedly improved without undergoing transplantation. New contact lens designs can now be worn by patients who previously were intolerant to contact lens wear. Techniques such as Intacs and CK are able to restore contact lens tolerance in many patients and can also improve glasses corrected vision in some. And if you do require a corneal transplant, new laser assisted corneal transplantation procedures (IEK) as well as innovations such as partial thickness corneal transplants (DALK) can improve recovery and visual outcomes. Finally, new treatments such as corneal collagen crosslinking (CXL) are under continuous investigation and available to our patients. At the CLEI Center for Keratoconus, our results have been satisfying to both our patients and ourselves over the years, and we all can take heart and anticipate ever improving visual outcomes and treatments of keratoconus in the future. Located in our state-of-the-art facility in New Jersey, and conveniently located near Newark Liberty International Airport in NJ, our staff is dedicated to providing you with the highest quality care. Whether you live in New Jersey or Europe, we will make your visit as convenient and productive as possible. At The CLEI Center for Keratoconus, we give our patients the four elements most important in choosing your care - the best education and training, unsurpassed depth and breadth of experience, the most advanced technology, and focused dedication to the field... this is all we do. Our goal is to obtain the best possible visual outcome in our keratoconus patients in a professional setting where you are confident that your care is in the best of hands. Click on the image below for an eyewireTV video on Keraflex Microwave Treatment - Dr. Hersh is the only one in the U.S. currently performing this procedure.